What is premium cataract surgery? It is very common for our practice, Cornea Consultants of Arizona to treat cataract patients in the Phoenix clinic. We explain that cataract is a condition which causes the clouding of the lens that greatly affects vision. 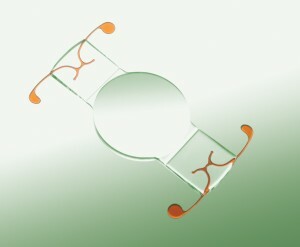 Normally, a person’s lens is clear which allows light to pass through freely so the patient can see well-defined images. But if the eye becomes opaque due to cataract, then the patient’s eyes becomes blurry. Age-related cataracts are the most common form. As we age, the proteins in our eye may clump together forming a small area of cloud in our eyes. Secondary Cataracts are cataracts that form as a complication of an eye surgery for another condition or as a complication from other medical conditions such as diabetes. Congenital Cataracts are those that are already present when babies are born or for children who develop them early. Traumatic Cataracts are cataracts that develop several years after a person experiences an eye injury. If cataracts are mild and at an early stage, vision can be improved by prescribing a new set of eyeglasses, ensuring brighter lighting in your home or work area, using anti-glare sunglasses, and using magnifying glasses when reading. But if any of these solutions don’t work, your eye doctor might suggest getting surgery to treat your cataract. Doctors would only suggest removing a cataract once we see that the vision loss because of this condition interferes with your everyday activities. Treatment will involve removing the cloudy lens and replacing it with artificial ones. You have 2 options when you want your cataracts removed; these are Phacoemulsification and Extracapsular surgery. It is important to have a very thorough consultation with your eye doctor to make sure that both of you have all the necessary information to determine the best treatment plan for you.